Requirements: You MUST have PHP GTK installed. Fully configurable sensitivity settings on a per server basis. 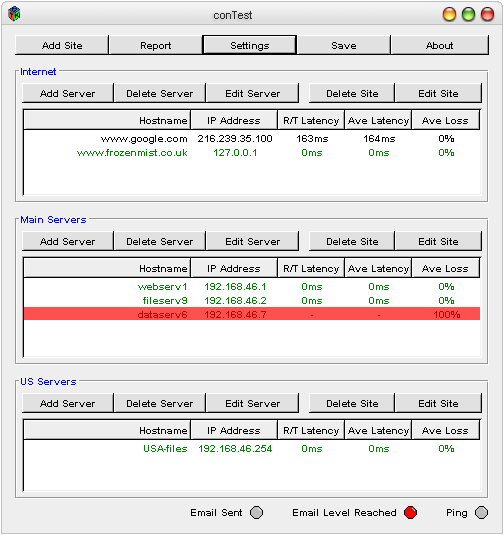 Realtime information of host status. 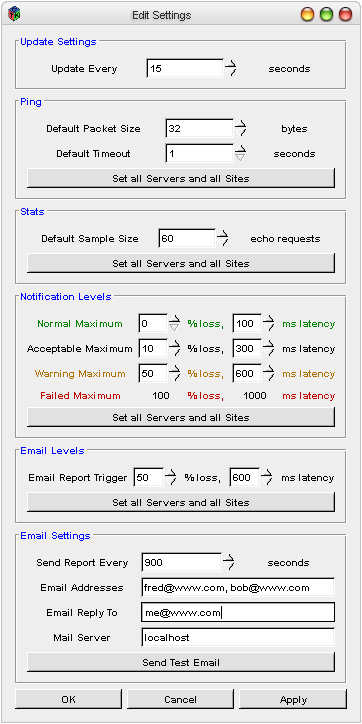 Optional email notification of connectivity problems. XML file format for settings.